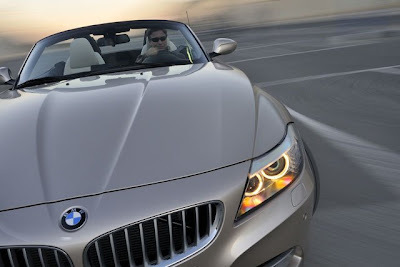 BMW North America has just released the U.S pricing for the new 2009 BMW Z4. As expected, there is a price increase over the previous Z4 generation, but still significantly lower than the German pricing. 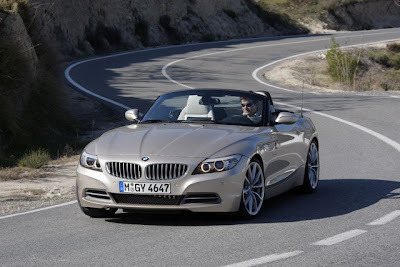 The BMW Z4 is all new for 2010, and the updated roadster will be ready for production later this spring. BMW gave the Z4 sleeker sheet metal, a folding hard top, and upgraded powertrains, but the biggest change could be to its price tag. Buyers looking for a new Z4 can expect to plunk down $46,575. That's a big jump from the base $36,700 of the 2008 Z4, which packed less power and less road presence. The 46 large is also exactly the same price as the Z4's nemesis; the Porsche Boxster. The 2010 model will net you a 258-horsepower inline six capable of hitting 60 mph in 5.8 seconds. The base Bimmer will also come standard with leatherette seating surfaces (upgrading to Kansas leather tacks on another $1,250). The 306-horsepower, twin-turbo Z4 sDrive35i will cost a whole lot more, with a starting price of $52,475, including destination and handling. The 2008 Z4 M was a bit cheaper at $50,400 and carried more power, but the 2010 car's higher torque numbers make for an equally-quick droptop, as evidenced by its 5.1 second 0-60 time with the dual-clutch gear box. Options abound for the Z4, and they're both expensive and confusing. Bundles include a Premium package at $3,900, or $2,800 when also ordering the $2,300 Sport package, which is $1,900 when also going premium. You can also get a performance 19-inch tire and wheel package for $1,200, but only if you purchase the sDrive35i and the Sport package. A seven-speed dual-clutch gearbox can be had on the 35i for $1,525.